Located at 1400 E Commercial Ave Anaconda MT. Family owned and operated by Willy, Annette, and Joshua McNeill. Anaconda Tire Pros provides Tire Sales and Service, Brake, Battery, Suspension Repair, Oil Change and Alignment needs of those in Anaconda, Deerlodge County and the surrounding area. We are open Monday through Friday from 8:00 AM – 5:00 PM. So come see us in person, or call for an appointment and start rolling with the Pros! 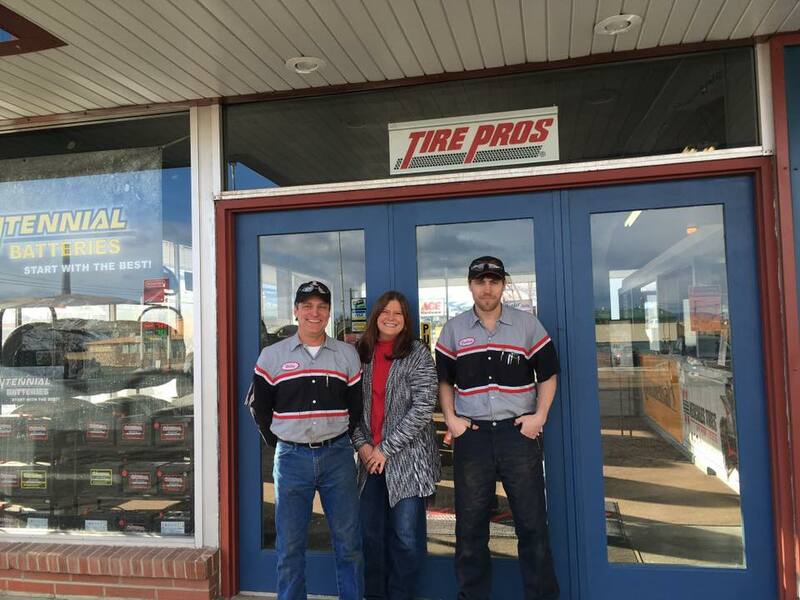 Whether you are from Anaconda, Phillipsburg or Georgetown, or the surrounding area, consider Anaconda Tire Pros when purchasing a new set of tires or seeking tire service. We strive to maintain competitively priced lines of Passenger, Light Truck, Commercial, Farm, Trailer, ATV, Lawn, Garden and specialty tires. Anaconda Tire Pros will help you make the right tire purchase based on your specific driving needs and preferences. We offer Comprehensive Tire Protection Plans as an American Tire Distributor at nearly 30,000 locations Nationwide, including Canada. Maintain your tires performance throughout their entire tread life with the best professional tire services, including computer spin balance, flat repairs, and tire installations, performed by our TIA-certified technicians. As members of ASA and TIA, we offer a variety of automotive product services for your vehicle. Wheel Alignment, Steering, Suspension Shock and Strut Repair, Brakes Service, Battery's, Custom Wheels, Oil changes, Tire sales and service including Tire Pressure monitoring systems. Call Anaconda Tire Pros at 406-563-8126 for a quote, or appointment. Thank You. We apreciate your Business!